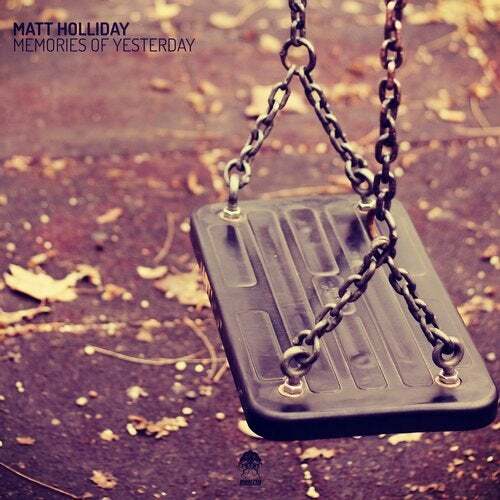 Birmingham, UK based DJ and producer Matt Holliday shows up at Bonzai Progressive with his solo effort, Memories Of Yesterday. He recently enjoyed a collaboration with Manu Riga on Submerged Needs and You Are Contagious, both of which gained a ton of support from across the world. Known for his dark, edgy, psy laced progressive and trance grooves, Matt has built up a solid rep on the music scene with top notch cuts on labels like JOOF, Black Hole, Afterworld and Drizzly Records among others. Matt also delves into DJing quite regularly and hosts radioshows on various stations as well as his own Moments. On top of all that he will be gracing the decks on the Bonzai stage at this year's (2015) Tomorrowland with fellow producer and studio partner Manu Riga. Lots more to come from this guy for sure so stay tuned for more. The Original Mix intros with a wonderful imaginative sequence filled with a deep droning bass sound and cool FX which are soon joined by a powerful kickdrum that pulls out a nice punch. All around we are faced with varying basses that add a deep, dark twist to the sound and provide the perfect foundation for the subtle background pads. The track takes off with the introduction of a rhythmic drum section that is steeped with tribal elements which are sure to get the floors moving. On the break we go deeper with a beautifully rich display of sounds, from deep lush bass notes to sweeping pads and distant voices that bring a very subtle melodic flavour. A definite must have track for those late night progressive sessions. Ewan Rill is up first with his remix and yet again he delivers the goods in style. A regular contributor to the remix roster, Ewan marked up his full debut on Bonzai Progressive in February 2015 alongside Casper on their Vacuum EP. A very much respected artist on the scene, this guy has racked up a quite impressive back catalogue on various top labels over the years including Balkan Connection, Abstract Space and JOOF to name just a few. On the remix he takes us deep into progressive utopia with a fine display of solid beats and expertly arranged patterns that carve out a cool rhythmic flow. The big hitter here though is the bass construction, multiple variations of bass combine perfectly to etch out that deep, lush groove. Probing, throbbing and gritty basses leave us numb as they work their magic throughout. On the break we are offered a short respite before getting slammed right back into the main groove for the duration. Superb stuff yet again, not to be missed.